Ag-tech disruptor, Roots Sustainable Agricultural Technologies (ASX:ROO), has completed its world-first pilot in a commercial operation combining its Root Zone Temperature Optimisation (RZTO) with Nutrient Film Technique (NFT) technologies to cool the nutrient temperature of hydroponic lettuce. Taking place in central Israel’s Bnei Atarot, the pilot was a collaboration with greenhouse leader, Teshuva Agricultural Products (TAP), which has developed NFT greenhouse technology. ROO first unveiled this technological pairing at the International AgriTech Israel Exhibition conference in early May. When combined, the two technologies saw robust lettuce growth, ensuring the water that delivered dissolved nutrients to hydroponic bare plant roots remained within favourable growing ranges more than 11 degrees lower than the ambient air temperatures in the greenhouse of nearly 40 degrees. This increased production quality reduced the growing cycle by about 20 per cent compared to traditional plantings, where no nutrient temperature control is used. Cooling, in turn, was achieved using only ground source heat exchange (GSHE), consuming minimal energy. The successful RZTO and NFT operation enables farmers to stabilise nutrient temperatures to dramatically increase yields and profits more efficient crop management — even in extreme summer weather conditions. Roots CEO, Dr Sharon Devir, said that the pilot signifies a major breakthrough in greenhouse crop control. “No other commercial company in the world, as far as we know, is offering RZTO and NFT cooling systems for hydroponics or other substrates such as grow bags or soil,” Devir noted. “Until now, the only option farmers had to reduce heat load in greenhouses was to use large evaporative cooling systems with several fans. However, they are expensive to buy and operate, use a lot of energy, and increase humidity levels within the greenhouse which increase disease levels on plants. “RZTO cooling systems have none of those issues and focus on retaining core temperatures at the root zone — not in the ambient air. Cooling the NFT nutrient solution was made by ground source heat exchange only, using a circulating pump which consumed only 1.5kw/h of energy,” Devir said. “Since installation at this site there were several days close to 40 degrees centigrade accompanied by very strong wind storms, one of which caused shade nets above most greenhouses in the region to blow away. While many nearby greenhouse crops did not survive these extreme weather conditions, the Roots’ cooled crop survived four hours of strong wind and severe heat without any shade net. 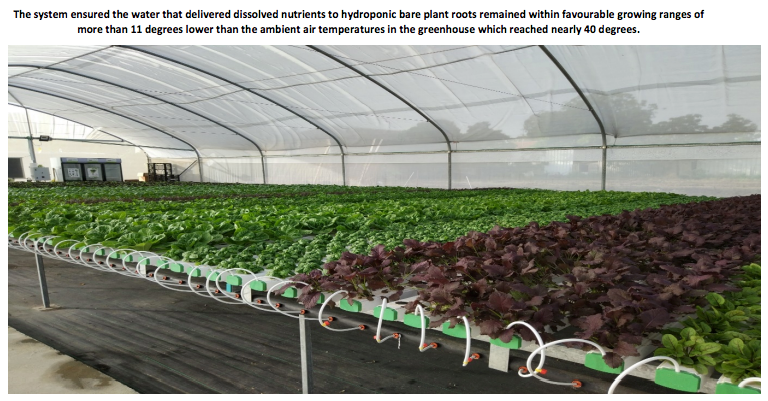 Devir pointed out that in NFT greenhouses without the combined RZTO and NFT technology, the nutrient temperature of crops closely followed the air temperature in the greenhouses. 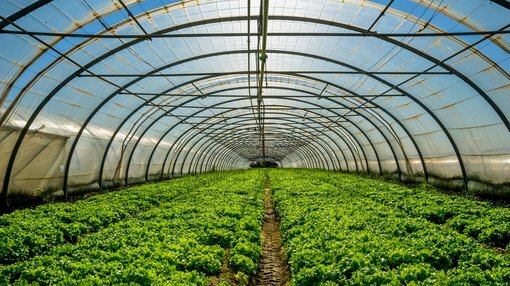 However, when using the combined RZTO and NFT system, farmers were able to stabilise and monitor plant roots to ensure they remain at an optimum temperature, regardless of the greenhouse’s ambient air temperature. This latest development comes on the heels of ample news flow from ROO, which recently announced it is taking its disruptive RZTO technology to the budding medicinal cannabis space. ROO’s debut in the US$7 billion US cannabis market, which is expected to surge to US$22 billion by 2021, will be a pilot using RZTO technology alongside American Farms Consulting LLC (AFC) in Washington. On top of that, the ag-tech innovator has also penned an agreement to conduct a proof-of-concept to cool medicinal cannabis roots grown in a greenhouse in northern Israel, which will be a collaboration with Canndoc, one of Israel’s leading medical cannabis growers.